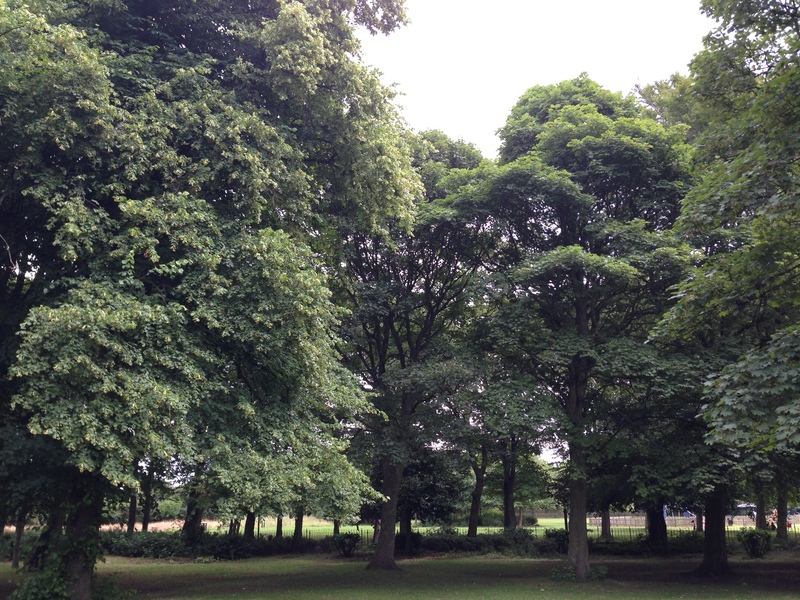 Nuns Moor Park is located in the ‘inner west’ end of Newcastle upon Tyne and only 1km from the city centre. Established in the Victorian era, the park was particularly used for leisure activities for the local community. It originally had three bowling greens and a space dedicated to playing quoites, as well as a popular band stand and plenty of space for walking and gathering with other residents. The park has gone through many transformations over the decades. But whereas its shape and function is very similar today as when it was set up, it now serves the most diverse local population in the North East. ‘Bird Cage Walk’ was renewed within the last 10 years as the central walkway through the park linking Brighton Grove with Nuns Moor (part of the Town Moor), and is well lit with stylised wrought iron decoration similar to original style first installed over 100 years ago. The park plays a major role in its immediate neighbourhood as vital green public space for all generations to use. From dog walkers, to families having picnics, to young people meeting up and children playing, this is well loved and well used space for all. Volunteers have recently planted new trees and bulbs, and the practice of holding festivals and melas in the park has been revived with the addition of outdoor markets. The importance of the park has inspired many people to come together to work co-operatively to safeguard the park’s future. Current economic policies that are restricting the City Council’s budgets to maintain the park have produced new initiatives. The Bike Garden and the Friends of Nuns Moor Park, both inspired by Greening Wingrove and its partners, are learning how to work effectively with the City Council and local residents, opening up ways for people to get involved with managing the space to an extent, and to offer invaluable community space for projects and enterprises to flourish.